My house is in need of some major overhauling in regard to organization. I amwhat you call, a bad housekeeper so, I just shove things in drawers or into closets to make the living area look nice. Seriously, do not look into my pantry or linen closet. It drives my husband nuts; and to be honest I drive myself nuts too. It is kind of funny that I want to be like June Cleaver. I would love to be consistent with cleaning and organizing and end each day with a pot roast and pie. But, did you know that cooking takes time and baking is hard? I am building those skills, and Mr. Scents is beyond thankful that I am. Back to organization though; it needs to happen. Like, yesterday. To get me to do things I may not want to do, I use to-do lists. Many people love electronic lists but I’m a fan of a handwritten list. It seems more deliberate and I don’t end up losing it in a folder somewhere on my hard drive. So, to get my house in order I put the pen to paper to figure out where to start. Everything Room- make closet into craft and exercise equipment storage area, organize sewing desk, get rid of anything I can honestly see myself using. Bathrooms- collect all cleaning agents into caddy to store in pantry, organize drawers by utility, and throw away any products that will not be used again. Nursery- weed out any clothes the boys don’t fit into, go through clothes that are too big and weed out what will be seasonally inappropriate once they are big enough to fit, fold all the clothes in their drawers, get rid of anything we will never use. Pantry- have all cleaning supplies organized into caddies for each space they are used in (kitchen, living areas, bathrooms), organize all kitchen storage (pots and pans, trash bags, tissues, etc. ), have all foodstuffs in categories and assign space on shelves (baking supplies, snacks, side dishes, etc. ), move all tools to garage, put all clothes away, and put up hooks for broom and mop. 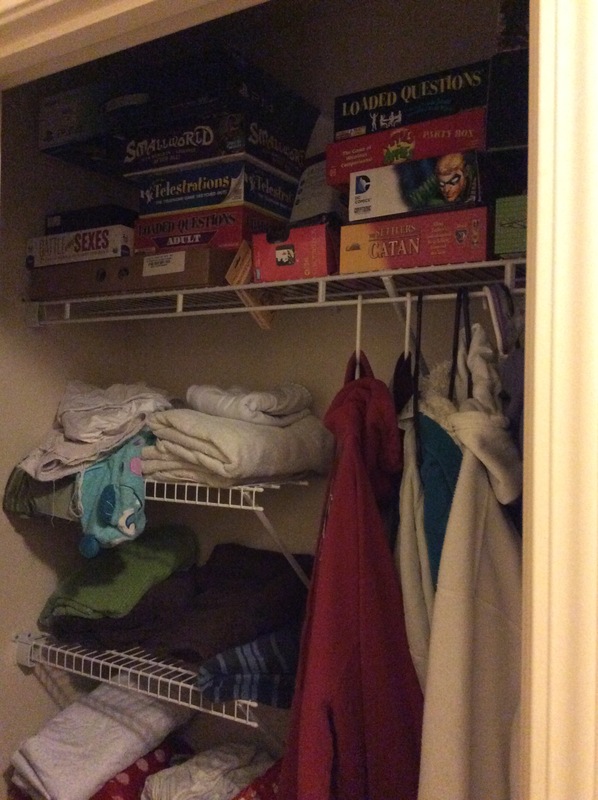 Master Closet- sort through clothes and donate anything no longer worn or too small/big, hang all professional clothes, fold all else, use storage cubes for folded clothes and shelves for bathroom storage. As you can see I have a lot of cleaning and organizing to do. These were all to-dos on my “before the twins come” list but preeclampsia and twin pregnancy in general kind of prevent big projects. I’m not even done with my list either. I still want to put the master bedroom, garage, living room, and kitchen on there. I’ll start here for now. So, I’m proposing a six week challenge to organize six spaces in your life! It could be your office cubicle to your car to infinity and beyond. Join me in September for updates on my cleaning challenge. I’ll be going through these spaces and posting pics as I go along with my goals for any future projects for the space once I can see better potential. Comment below with what spaces you’ll be organizing. Email me your plan and picture updates to be featured on the blog! 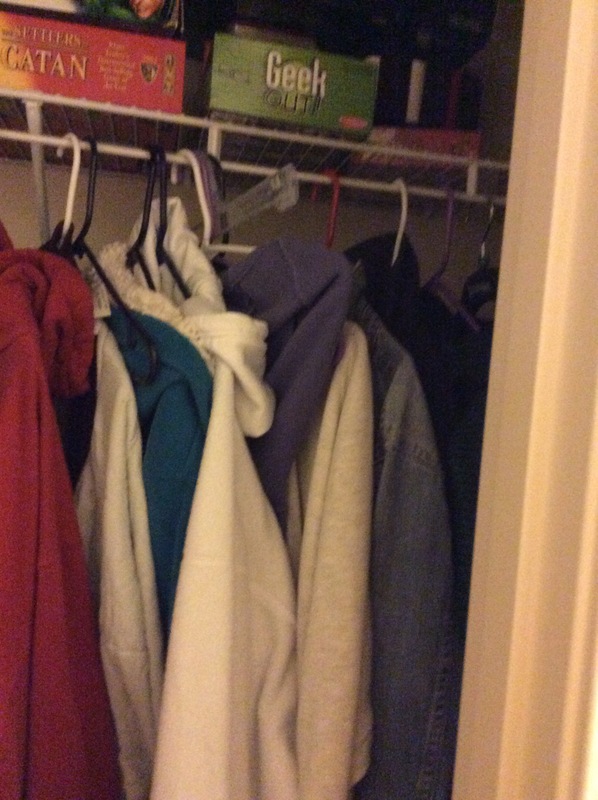 Come back to, hopefully, see my progress, starting with the linen closet! I went through my house about 3 months ago. We filled an entire dumpster with all the crap we got rid of. Hopefully we don’t have that much stuff, mostly we tend to hold onto clothes we no longer wear. I’m going to put my foot down though and get them outta here. My problem is I organize it and my family messes it up again. They need to clean it up. You should join us! It’ll be fun to support each other and hold each other accountable to getting it done! Do update us how far you’ve come and what you’re working on, it’s an interesting challenge! I went through my house the other day and I might just do the same. Join the challenge! Email me before and after pics, mommyscents208@gmail.com. I would like to do a picture post of before and afters each week as we go along. I would definitely say I am not a hoarder, it’s just that since having twins finding time where I don’t have little hands undoing the organizing as I complete it is almost non-existent. I also insist on getting time to myself each week, usually just a few hours for a nap or a trip to the grocery store alone. I like to write out my lists also. Have another closet I need to organize. There is something about handwriting, for me at least, that helps commit it to memory better than typing. Your post reminds me that I need to organize my drawers and cabinets. Need to purge and donate the items that we don’t use anymore. My goal is to donate too! The hard part is going to be parting with things lol. Make sure you participate in the challenge and send me pictures of your before and afters. I’m hoping to do a reader feature each week! All of our closets need major reorganization too. We’re having a rummage in a couple weeks, so I hope to get it done before then. Participate in the challenge! I’m hoping to do a feature day each week of readers spaces. I recently went through and did a TON of organizing and I appreciate that you spread your challenge out over 6 weeks. It really does take a while! I have no delusions on this taking me 6 weeks lol. 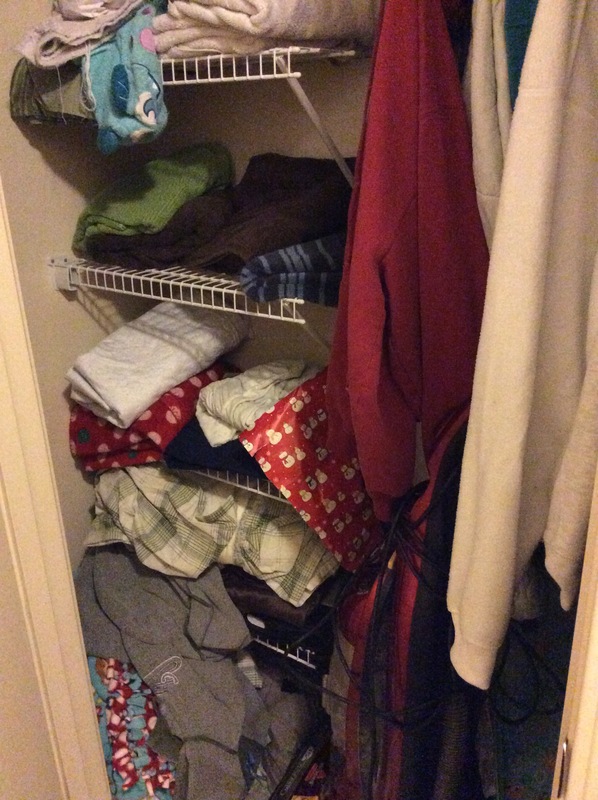 With twins it can be hard to find the time to get functional organizing done. They are at that age now where nothing pleases them more than to follow behind me and undo everything I do. But, it’s too cute to see them do it to be mad. Good luck with your master re-organization plan. We all need to do that every once in a while, cuz it feels so good once we are done. Your closet may not be in the best shape now but with time, effort, and creativity, you can turn it into a thing of beauty! Great challenge. I am a big believer in Organization! You sound a lot like me. We actually went through 5 boxes in our garage this afternoon that has been sitting there since we moved in three years ago. It felt great and I hope the cleaning bug sticks with me. I hear you on the organization. My husband and I moved into our townhouse in April. Then due to a family emergency, I spent almost the entire summer with my parents, and my husband spent every weekend with us too. So now we’re very slowly properly organizing everything! Good luck. I am hoping to make a dent in my list while my parents are visiting from out of state next week.